Ways That You Can Add A Grown-Up Touch To Your Home As A First Time Home Owner. 18 Apr Ways That You Can Add A Grown-Up Touch To Your Home As A First Time Home Owner. Deciding to move out and get your own home is one of the major decisions we have to make at some point in life. All those responsibilities and tasks that come with it are inevitable. However, you need to make your home as welcoming as possible to achieve that heavenly feeling that will calm you once you get away from the traffic, hooting of the cars and the busy office schedules and that night of extreme partying. Here are some ideas to help add that sophisticated and grownup ‘touch’ as a first-time homeowner. List the most basic yet important items you need. After you have gotten the space you need to make a home, it is advisable that you jot down the essential items needed in the house. For example, you will need a couch, some kitchen appliances, a good bed and such. All these items should be your number one priority. This step will help you to avoid impulse buying so that you don’t end up having unnecessary items that might take up a lot of space. Buy things that a few years from now, you will look at them and feel proud and not cringe. Buying a poster of your celebrity crush is an example of something that you will want to take down a few months or years down the line. Research on different designs and colors. Many homes have different themes according to the purpose of the room as seen in home magazines or home exhibitions. This means that for instance, you might choose a color such as sky blue with a touch of red for the bathroom or even a much lighter color like cream white or pink for the bedroom and so on. Remember you are a grown up now and want your parents to feel proud when they come visiting. Look for a home design that reflects that, forget that pink girly Hannah Montana-themed bedroom or the BenTen-themed roomed back at home, look for colors and decorative pieces that say two words, “Maturity” and “Tastefulness”. Get An Experienced Friend For Assistance. Once you make a decision on how you want your home to look like, you might as well need a second opinion and help on the finer details of your home’s appearance. Since you are now starting out on your own you might not afford an expert interior designer unless you are one of the under 25 millionaires of the world. An experienced person’s opinion also comes in handy when it comes to buying the stuff you need. Your experienced friend is likely to know their way around the market; where to find great bargains, the best stuff and you will learn a lot from them as a first-time homeowner. 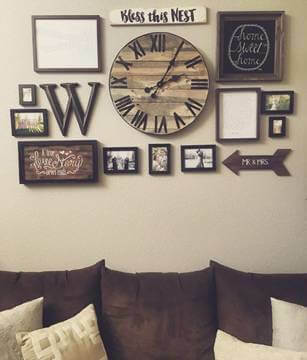 Play with your walls to improve the look of the room. Setting up a large mirror on your walls will make the room appear bigger. You may decide to frame your mirror with a cultural look or even get the color of the frame to match the one in the room. An artistic wall hanging too will make your home look more mature and grown up. You can find paintings or even decide to do your own DIY wall hanging using origami pieces that you made for example. Bring safety to your home. It is important to get a fire extinguisher for the kitchen in case of any emergencies. 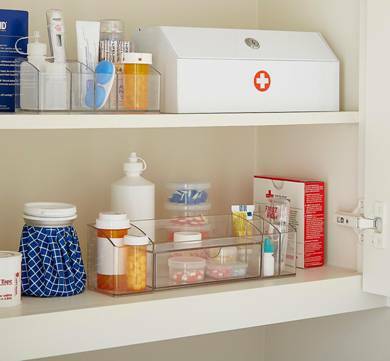 A first aid kit will also come in handy to get you prepared for any small injuries that happen around the house like getting a cut as you are chopping onions or falling on the bathroom floor. When your parents come visiting and see that medicine cabinet with emergency first aid kit and that other cabinet with all the house cleaning agents in one place and finally knives and other cutlery placed in their place at your tiny kitchen, then they will finally understand that their little child is now a responsible grown-up. Sometimes less is the best and letting your home stay spacious might be a great idea. Consider the minimalistic approach when choosing your home design. The minimalist design is a very grownup and mature design because you tend to go easy on the furniture, the colors and the decorations. This way you will less likely make a mistake in the design and that is the most grown-up thing that you can do. Set up a space for your tools. During your free time or days off, you may decide to do some handy work or fix something broken. 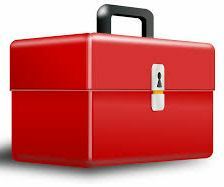 Getting a space where you can store your tools in the right manner will pay off. One of those common DIY repairs might come up and those tools will come in handy. You never know when you might need them, so keeping them in your one location within your home is another one of the best grown-up decisions that you should make. A Good Rug For Your Floor. 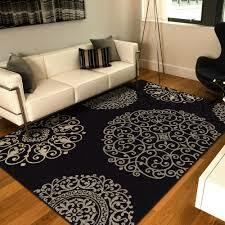 Adding a rug that has the colors that best suit your home will compliment your floors pretty well. You can get good wood designs and polish if you are not a rug person. If you decide to get a rug, get a good size that fits the coffee table if you want it in that area or a larger one that fits the whole living room. Select a suitable room to act as your study or office. 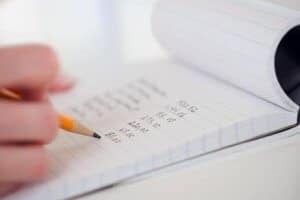 Sometimes you may need a little time on your own to work on your projects or even finish up with the backlog at the office in the comfort of your home. Setting up a room or a corner in your home to act as an office is the best thing. It is therefore advisable that you get the most secluded part of thehouse for this purpose. 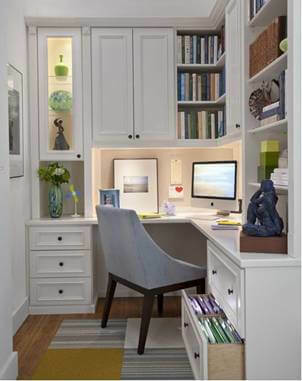 Get a good bookshelf to go with your home office furniture and also add some vintage wall hangings or sculptures for that room. There are endless ideas on how to make your home look more welcoming for families or even visiting parents. These are just but a few of them, but you can explore more options or even come up with ideas from your visits to friend’s houses. The above ideas should kick start living your life as a first-time homeowner.